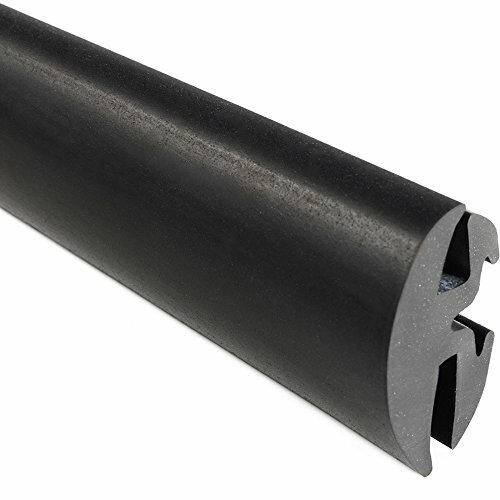 Provide a secure seal for an environment that isn’t exposed to oils, gasoline, kerosene or concentrated acids with a Trim-Lok EPDM dense rubber window locking gasket. It can also be used as an excellent weather strip seal solution. The EPDM window and glass locking gasket provides a secure seal between a body panel and window, and is typically used to seal and lock glass or Plexiglas windows into place when applying onto a metal or fiberglass body on doors and vehicles of all sizes. It can be used in a wide range of industries and applications, thanks to the outstanding color stability, high heat resistance and ability to resist the elements. These locking gaskets can be used in playgrounds, safety equipment, cold-room doors, medical devices and much more. This window/locking gasket is available in a one-piece locking action or a two-piece locking action with a mating locking key. The mating locking key is sold separately. Installation is quick and easy, just lubricate with soap and water then tape in place as glass is inserted. May require glass trim and gasket installation tools, sold separately. The EPDM dense rubber window locking gasket is available in a variety of widths and lengths for various glass thicknesses and sizes. Herco 2047U Neoprene Rubber U-Channel Edge Protector Extrusion 1/2" Slot Width - 5 ft.